Welcome to Pirate's Cove in Depoe Bay! This stunning two story home sits on a large piece of land overlooking the Pacific Ocean! You'll have amazing views from this beautiful rental no matter what time of year you visit! With five bedrooms and three and a half baths, up to seventeen guests can sleep here comfortably! 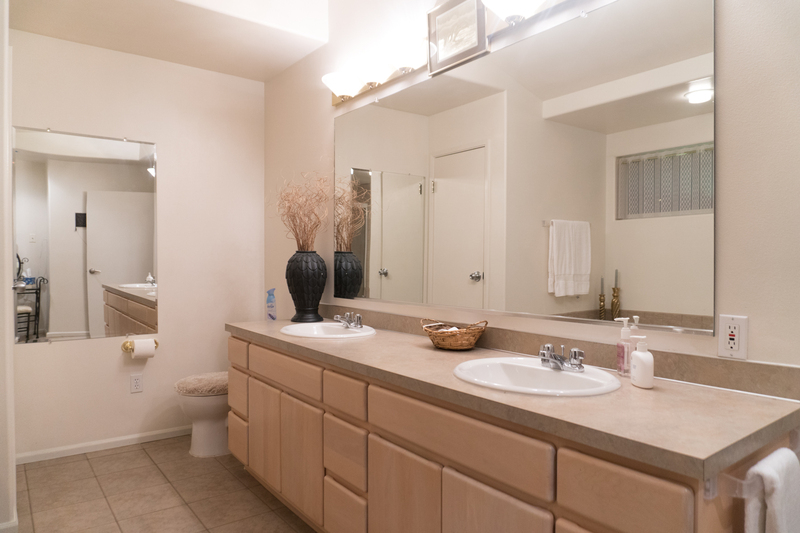 Head inside to your home away from home and check out the amenities Pirate's Cove has to offer! A large living room offers plenty of space for you and your friends and family to rest and relax on while taking in the sights and sounds wafting in from the water. 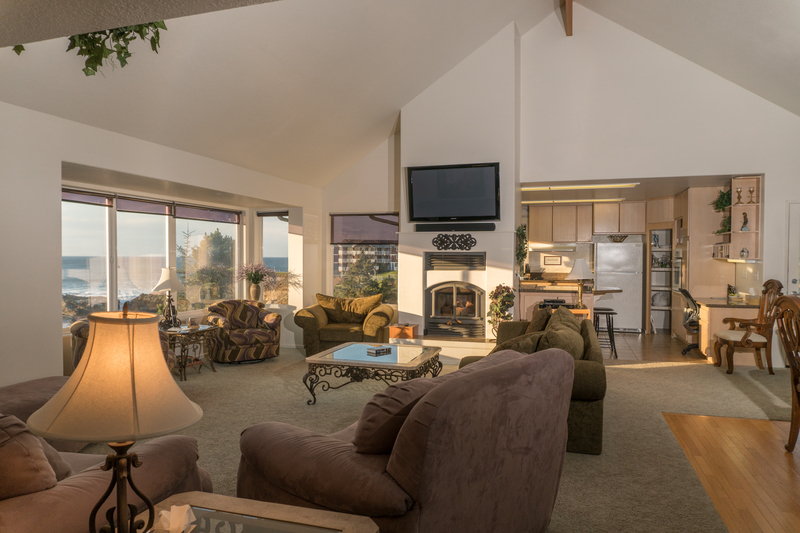 Large, picturesque windows allow you to take in the sunset at night and the waves during the day! This is also a great place to storm watch from! There is even a fireplace located under the flat screen TV for those colder Oregon nights. Plenty of sofa space is available for everyone to sit if you can't seat everyone at the dining room table for dinner. 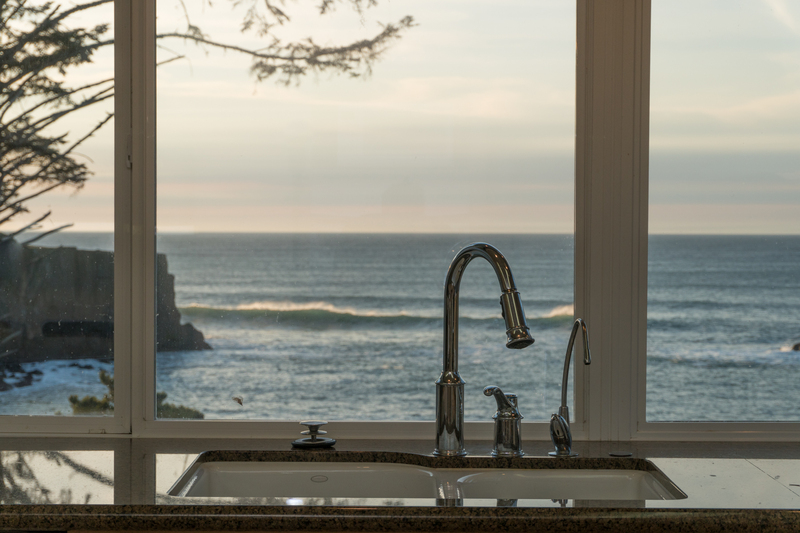 The full size kitchen offers panoramic views of the Pacific while also offering everything you'll need to whip up a special homemade meal, or feel free to use the silverware and plates to enjoy some take out! 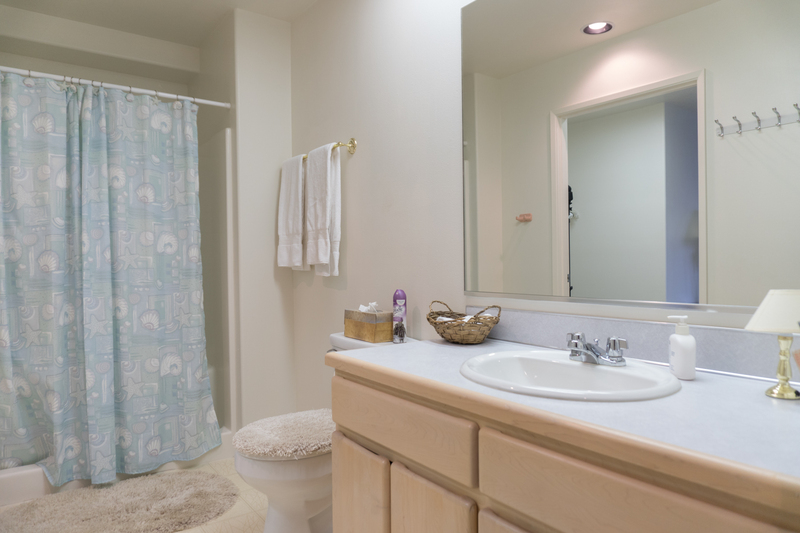 Each bathroom offers plenty of space to get ready for the day in and is decorated in soft blues and whites to match the spirit of the Oregon Coast. The master bedroom offers a large tub for a relaxing bath and a walk in shower, while the other two full size baths offer showers. The master bedroom offers a king size bed, while the other bedrooms have a queen and twin, a queen, a queen, and three bunk beds and a pullout couch in the downstairs living room. You can mix and match in whatever way best suits you and your party's needs! There is also a washer and dryer located at this rental, allowing you the freedom to pack light and wash clothing as you need it! 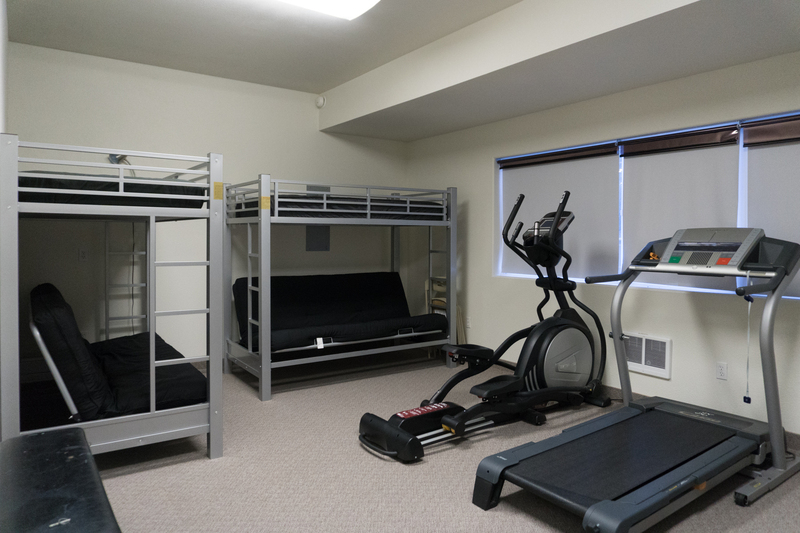 There is also a small workout area, complete with an elliptical and a treadmill. What are you waiting for? Pirate's Cove is calling! Come down to the Oregon Coast today and relax and rejuvenate with Oregon Beach Vacations! "Multi generational family vacation. Wonderful location. House accommodated a large group well. Lots of whales, seals and birds. Well appointed kitchen. No curb appeal. Lots of stairs. Close to clamming, golfing, nice beach for kite flying. Hot tub only warm. Fireplace “under repair”. Vacation was everything I wanted it to be. I loved it!" "Loved staying in this home! Even though the weather didn’t cooperate, we still enjoyed the wonderful views and the group of seals that came into the cove. Would recommend a stay at Pirates Cove "
"Hello Deborah, Thank you for your review. We are glad to see that you enjoyed your stay at Pirate's Cove. We are happy that you were able to see a group of seals during your stay even during the bad weather! We hope to have you stay with us again in the future." "When we walked in we knew we were going to have a wonderful weekend, the view was amazing, everywhere you looked you could see the ocean and beautiful coast, it was great! The house has every thing you need to entertain or just kick back and soak in the sounds of the ocean and unbelievable view, we all agreed, this vacation rental gets a 5 star! Thanks! Tana"
"Hello Tana, Thank you for your review. We are glad to hear that you had a great stay at Pirate's Cove. We hope this means we'll be seeing you back again soon! Thank you again for your wonderful review." "It was the perfect location for our wedding! All our family and friends fit comfortably in the home. " "It turns out that we did not stay at the Pirates Cove but at the LJP House (or?). The house is fantastic. It had been dedicated to our wonderful LORD God, and has a sweet and delightful feeling. It is beautiful and well appointed, filled with cozy views and fantastic views of the Pacific. We reveled in the views. We laughed and talked, and the other 7 ladies who were with me ate and ate of the excellent food they prepared. The kitchen had everything except a corkscrew! Everything! My group of friends has been having a yearly Coast Trip for the last 16 years. Everyone agreed that this is a house to return to! " "It was amazing. Whale watching from the living room. It was clean and roomy. A couple of the door knobs where broken but we left a note about that. The main door knob would stick and the master bedroom door wouldn't latch. Simple fixes. Otherwise beautiful house." "Hello Scott, Thank you for your review. We are glad to see that you enjoyed your stay at Pirate's Cove! We are glad the home was clean and roomy enough for you during your stay. We hope to see you back again soon on the Oregon coast!" "Hello Loren, Thank you for your review. We are glad to hear that you had a great stay at Pirate's Cove. We are glad that you were able to spot a few whales while staying here. We hope to have you stay with us again in the future!" "Pirates Cove was the perfect house for our large family to celebrate my husband's birthday. It was spacious, comfortably furnished, clean, and with the most incredible view. Can't wait to go back!" "We are glad to hear that you and your family had a fantastic stay. We are looking forward to hosting you in the future! " "This house is perfect for a group of friends or a large family get together. The bedrooms, all but one, have a beautiful view of the ocean. We saw many whale sightings from the main room and one whale even came into the closer bay area to show off for us. There is plenty of seating available for all. The home only has basic cable and we were unable to get the DVD player to work for the movies we brought. We didn't ask for help though so it could be that it would have worked. We had plenty to keep us entertained. The kitchen is very large and accomadates many helpers. Our large group ate all our meals at the house so we did need to supply more paper towels and coffe filters. A few more basic spices would be appreciated.My only negative thoughts are that the garbage can was full when we arrived but by contacting the management group, someone came the next morning to empty it. Also the microwave wasn't clean. A few more rolls of toilet paper and dishwashing packs on hand for large gatherings would help also.We were all very happy with our stay and look forward to being there next year too!" "Hello Lorie, Thank you for your review. We are glad to hear that you enjoyed your trip to Pirate's Cove. We are happy to hear that the home was large enough to accommodate for your entire group. We are sorry to hear that you ran out of a few supplies. We supply all of our homes with a starter pack of supplies that is not meant to last an entire stay. We let all of our guests know exactly what supplies will be included in their stay and encourage them to pack extras or be prepared to buy more. We also do not provide spices in our homes. If spices are found in the kitchen, these are either provided by the owners or previous guests have left them for others to use. We are sorry to hear that you were not able to get the DVD player working. We saw that you contacted us about the garbage cans - we would have gladly looked at the DVD player for you as well as cleaned up the microwave. Thank you again for your review, and we look forward to hosting you again soon on the Oregon coast." "Interesting location cliffside at Pirate's Cove. The house was spacious with wonderful views and just one house off of Hwy 101. Being so close to the highway we were concerned about traffic noise, but we really never heard any. We did hear the ocean though! 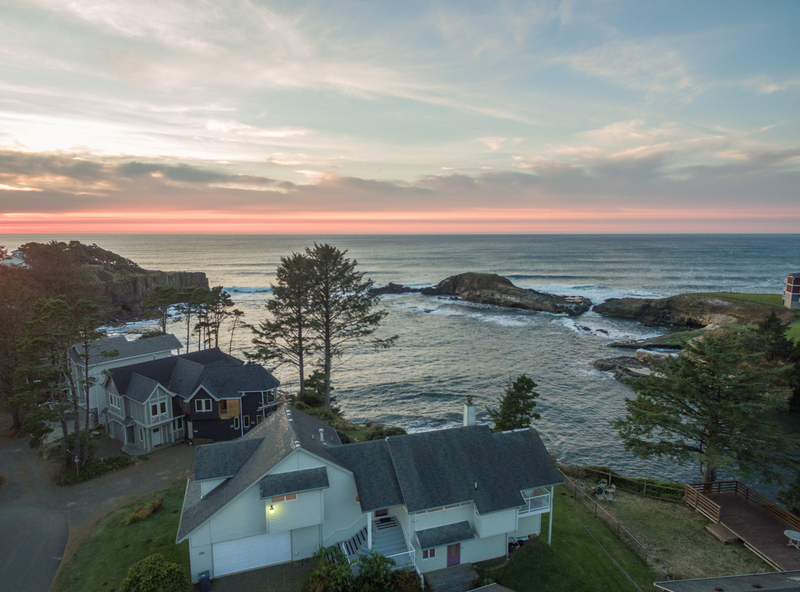 We found the location to be perfect; just outside of Depoe Bay and mid-way between Lincoln City and Newport making all three communities easily accessible. Nesting pair of Bald Eagles used the Cove to find food which was an absolute bonus to watch with the supplied binoculars. Overall, we were quite pleased with the unit and would rent it again. Misses were few and slight: We arrived a few hours after check-in was allowed and first thing we saw was garbage overflowing the garbage can. Phone call took care of that asap. The gate leading from the hot tub/patio area was locked so we had to jump the fence or walk around the house to get to the backyard or cliffside. The gas fireplace was unavailable, and the windows facing the ocean had two different types of shades on them which were largely uncooperative. " "Hello Michael, Thank you for your review. We are glad to see that you enjoyed your stay at Pirate's Cove. It sounds like you and your family had a wonderful vacation. We are sorry for the few issues you encountered, but it sounds like the positives outweighed any negatives. We hope to have you back with us again soon on the Oregon coast for another fun visit. Thank you again for your review." "Hello Michelle, Thank you for your review. We are glad to hear that Pirate's Cove was the perfect house for you and your family on your stay! We are also glad that the staff was able to help you out with any issues you may have encountered. We can't wait to see you back again soon on the Oregon coast! Thank you again for your review." "This was a beautiful coastal rental. The views were just incredible. We never used either television even though we had six high school and college students in our group. Everyone watched the whales, seals, great blue herons and bald eagles just a few feet away. The sunsets were awesome as well and the food in DePoe Bay for the two nights we ate out, was outstanding. We fixed most of our other meals in the beautiful kitchen. All of the appliances worked well. The hottub was popular after evenings of games played at the large table. The coffee table was perfect for the puzzles we had going all the time. We had a wonderful time as we gathered family together from four states." "Had a wonderful stay and time at this property during the Newport Seafood and Wine Festival weekend. Great location in Depoe Bay. Stunning views of the pacific ocean from almost every room in the house. House had plenty of room all the guests, large dinning table and nice living room to hang out and relax. " "Hello Frank, Thank you for your review. We are glad to see that you enjoyed your stay at Pirate's Cove. We hope to see you back again for next year's Seafood and Wine Festival! Thank you again for your review." "Our large family had a wonderful 3 days at Pirate's Cove. The 5 bedrooms were clean and well kept and the view is outstanding. We even saw whales in the cove from the living room! The only downside was that the kitchen was not stocked with enough dishes and different sized pots and large bowls for a large group. It didn't come with enough garbage sacks or dishwasher pacs. That would not be hard to remedy. Other than that we loved it." "Get this at the right time and see more whales than those on the boats.Great view, great show"
"We enjoyed our Oregon vacation very much. 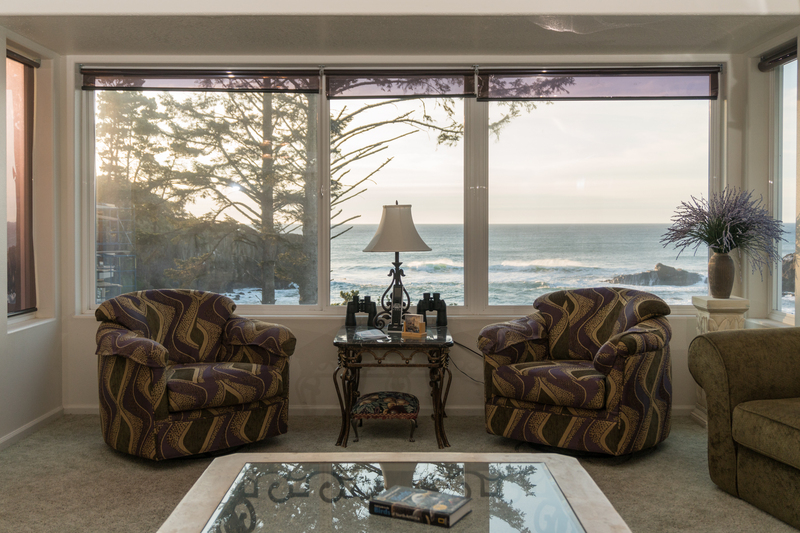 This property had a beautiful view of the ocean and sunset and we could see whales and sea lions in the distance. It was nice to relax in the hot tub after hiking the many trails that Oregon has to offer. This property's location was wonderful to explore the two lighthouses and the beautiful coastline. " "Hello Lisa, Thank you for your review. We are glad to see that you enjoyed your stay at Pirate's Cove. We hope this means you'll be back again in the near future for another fabulous trip to the Oregon coast!" "This was a vacation we truly needed. A little bit of heaven for sure. We slept with the windows open to hear the beautiful ocean sound all night, woke up to the most beautiful view you could want. The house was amazing. A few cleaning issues and appliances had some issues but overall it was great. We definitely want to come again. While the overall house was clean I am a bit of a freak about baseboards and walls and doors and these need serious attention, we also had a large clump of hair in the closet and that grossed me out. The fridge and dishwasher leaked but they came and tried to fix it, also the stove top doesn’t work real well. It took a very long time to cook. Also for a home that fits so many people I feel the fridge and freezer downstairs should be made useful to those staying in the home. While I express these concerns I will say I would highly recommend this home and would stay again myself. I just feel there could be a few things that could help increase the experience. Also more and or better kitchen supplies, (pots,pans,) The home overall was clean and wonderful. The staff amazing and breathtaking views. Just a few things that could make it a bit better. Highly recommend this home, you just may need to bring some kitchen supplies. Stove top fridge and dishwasher need to be checked and probably replaced. Also the deck is locked and unable to use, would have loved to use it. Overall great but for sure things to improve on for the price and cleaning fees so high these things should be taken care of. Still a great place and again would go back for sure just would hope these things would be taken care of. " 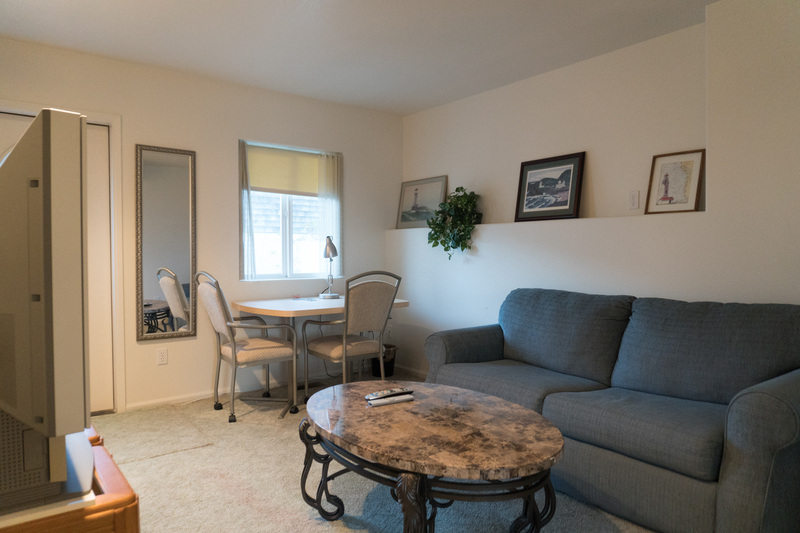 "Great view and lots of room for multiple couples, or large family groups! House is in good condition. Bring your own games, gaming systems, etc. Just basic TV service available." "Hello Tawnya, Thank you for your review. We are glad to see that you enjoyed your stay at Pirate's Cove. We hope to have you back again soon!" "The place is very well maintained. Sea views are stunning with whales and sea gulls. Opening the doors initially was a bit hard. " "Hello Revathi, Thank you for your review. We are glad to hear that you enjoyed your stay at Pirate's Cove! We hope to have you stay with us again in the near future!" "I wll say the view did not dissapoint!! It was a litte stormy when we arrived and it was amazing to see the waves crash over the rocks. The next day it was beautiful and the view was just as amazing!The house was clean other than the hot tun was dirty and there were a trail of stains on the carpet. I tried to call a couple of times and there was no answer until our last day, so getting ahold of someone was difficult.All in all, we had a wonderful time and I would reccomend Pirates Cove." "Hello Jody, Thank you for your review. We are glad to hear that you enjoyed your stay at Pirate's Cove. We are sorry that you experienced a few issues with the home. We are not sure why it was difficult to reach someone. Did you leave a voicemail for someone to call you back on the several occasions you called? One of our employees should have given you a return call. This home will be deep cleaned sometime this fall, taking care of the stains on the carpet. The hot tub will also be serviced. Thank you again for your review, and we hope to have you stay with us again in the near future!" "It is all about the views in the well appointed house. Almost every window gives you a chance to lose yourself in the ever changing cove. The kitchen is set up with almost everything a cook needs, even a filtered water dispenser in the sink. The Master bedroom is a haven. There is a second small bedroom adjacent to it which has no views. Kind of an odd set up, but if you are very close with whoever sleeps there, it will be acceptable. Both of these rooms share the master bath with whirlpool tub.The dining rooms flows into the living room, which is furnished with several comfy couches and chairs. There is a fireplace, which, if you figure out how to work, makes evenings very toasty. Downstairs there are two bedrooms, both facing the sea, each has it's own bathroom. Dated but clean. And a smaller room with a sofa is down there, too. As is the door outside to the hot tub. The owners have delayed too much maintenance in this nice home: refrigerator leaks, hot tub cover rusted, broken and unusable, tv cable not wired properly, heating to downstairs bedrooms not very functional, dated fixtures and furnishings. At this price point those things should not be a problem. But still, you have those views!" "The house had beautiful views of Pirate's Cove, and we enjoyed watching all of the wildlife--the whales, seals, sea birds from our windows. We enjoyed the hot tub and enjoyed getting to know the little town of Depoe Bay which was a short walk away." "Hello Ronda, Thank you for your review. We are pleased to hear that you had a wonderful stay at Pirate's Cove! We hope to have you back again soon on the Oregon coast for another wonderful trip." "The house was in a great location with great ocean views. Plenty of space. But some major downsides. We were there for a family reunion and planned a pasta bar dinner for the first evening when everyone arrived, thinking that would be very simple. The stovetop did not work well at all. It took over an hour to boil water for the pasta and another 30 minutes for it to cook. A major pain with hungry young children! Don't plan to do any cooking! An even bigger disappointment was no DVD player with the TV downstairs, and we could not get the one in the living room to work. Another pain with young children on rainy days! Bring your own DVD player! The WIFI worked most of the time, but without the help of my son, a computer analyst, we would have lost it completely. Other minor problems--not enough toilet paper, trash bags, and dishwasher soap were supplied, and there were no instructions for anything. The coffee pot was a challenge to operate." "Hello Paula, Thank you for your review. We are glad to see that you enjoyed your overall stay at Pirate's Cove, but sorry to hear that you had several downsides during your stay. We would have loved to help you in any way we could, such as getting a repairman to look at the stove, and bringing a DVD player that worked for you. As for the supply issue, our website states that we only provide each of our homes with a starter pack of supplies, and that if you need more, to bring your own or be prepared to buy more during your stay. We are sorry for this inconvenience. We will bring these issues to the attention of our maintenance workers. We hope you otherwise enjoyed a lovely family reunion, and we hope to see you back again soon on the Oregon coast for another vacation getaway. Thank you again for your review." "Beautiful house, a little short on supplies, such as paper towels, TP, only one set of dish towels, only 2 trash bags. There were no screens on any windows up stairs nor down stairs. The garage has been remolded so the 5th bedroom is out there, the wall heater did not work and the other half of the garage smelled of fish really bad, no privacy window shades, only sun shades so the workers on the house to the left could see right in. The fire place had no instructions, I called and they said someone would come out the next day to check it out. We finally figured it out after we removed the bottom panel and found a valve that we needed to turn on, which then when you wanted to turn it off you needed to turn the valve back off. The bathroom door knobs when locked still open from the inside, meaning if you forgot to unlock the door when coming out and you shut the door we were locked out. Would not recommend this property for young children, cliff has no fence and the windows have no screens upstairs."